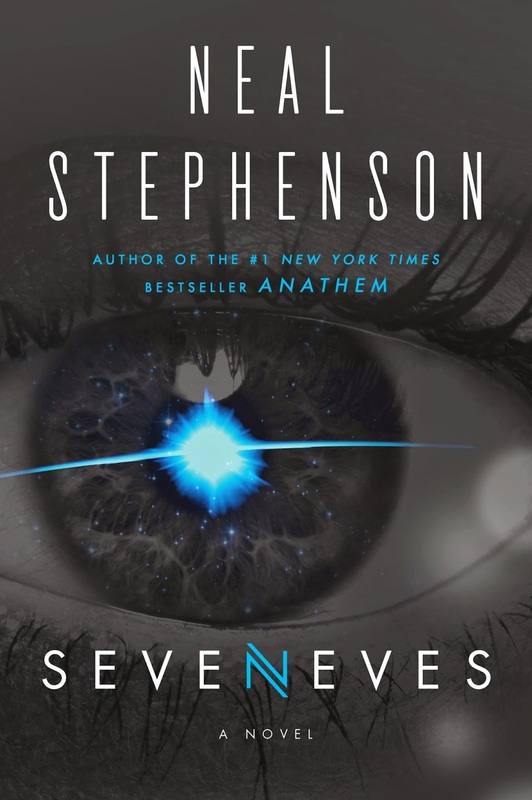 You certainly can't judge a book by its cover, but its first sentence, I find, can be tremendously telling—and so it is with Seveneves, the latest doorstopper of a novel to bear Neal Stephenson's name, and his greatest since Cryptonomicon in 1999. It starts simply: with eleven ordinary words arranged in such a straightforward way that the eye absorbs them almost automatically. It's only when the significance of said sentence registers that the eye tracks back to take in its content more carefully. Still, it takes a few seconds to make sense, for as easy to read as these words may be—as indeed is the entirety of Seveneves—their meaning is a world away from mundane. 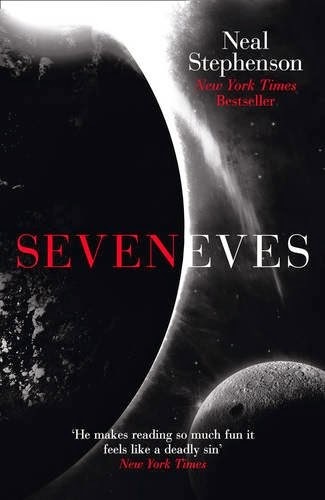 In this way, the extraordinary and extraordinarily complex content belied by the seeming simplicity of Seveneves is revealed, and the fate of something like seven billion human beings is sealed. In short, Seveneves startling first sentence sets the tone for much of what's to come, but in a novel approximately a thousand pages long, there's just so much to come that it's hard to know where to start, and when to stop. I won't be giving the game away, that much I can say. Nobody's going to hold it against you, however, if you opt to stop reading this review right now—so long as you immediately start reading Seveneves instead. So where were we? Why, I couldn't forget if I tried! "Everyone was going to die." (p.178) But why? Because the moon, when it blows up, doesn't simply cease to be; on the contrary, it becomes an exponential presence, shattering into fragments which nevertheless have the heft to shatter other fragments which... well. I guess you get the picture. And it isn't pretty, is it? The world wastes a week wondering how in the heavens this kind of catastrophe could have happened without stopping to think what it might mean, but Doc Dubois, man of science—and a bit of a Brian Cox, what with his four million followers on Twitter and his frequent appearances on TV to translate unfathomable jargon into language the common man can understand—Doc Dubois, or Doob to his nearest and dearest, eventually puts two and two together. For fully five thousand years! Given which, space seems the more reasonable option—the thought process being that it's better to get the hell out of the sinking ship than to dig in to its deeper reaches. A spate of surprising solidarity follows, during which the planet's spacefaring nations fling their political and spiritual differences to the wind in order to create "an ark [containing] a repository of the entire genetic heritage of the Earth. We have two years to build it. Two years to get as many people and as much equipment as we can into orbit. The nucleus of that ark is going to be Izzy." (p.33) So says Julia Bliss Fletcher, the last president of the United States of America and the closest thing Seveneves has to a villain... aside, I suppose, from the unidentified Agent that made such a meal of the moon. It bears saying that the author never deigns to explain the exact nature of the Agent. What caused the moon to multiply so malevolently—be it a device of extraterrestrial origin, "set to detonate when certain conditions were met" (p.4) or merely some speedy debris—is beside the point. Instead, it's presented as not purely but primarily a theoretical problem. Solving it, and others like it, is what seems to excite Stephenson. 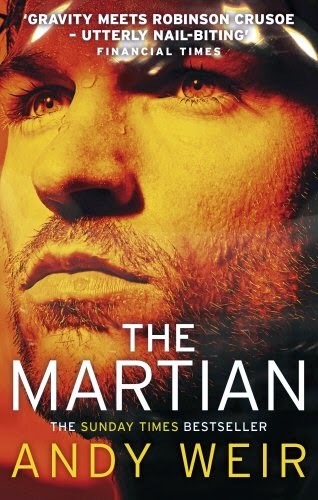 In that sense, Seveneves reminded me of nothing so much as The Martian, but for all that Andy Weir's bestseller had to recommend it, it became bogged down in tedious technical troubleshooting because its interstices proved pointless as opposed to punctuative. 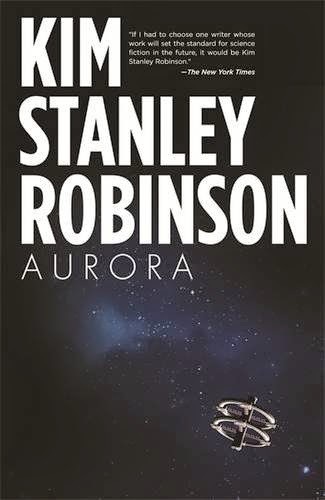 Stephenson's story of space-based survival is by leaps and bounds the better book, in that it has a head and a heart in the same frame—sweets and smarts rather than The Martian's grab-bag of impenetrable parts. The brain trust behind the Cloud Ark—an ad-hoc working group of governmental space agency veterans and commercial space entrepeneurs—had opted for the only strategy that could possibly work, which was decentralised and distributed. Each arklet, as the component ships were being called, would be small enough that it could be heaved into orbit on the top of a single heavy-lift rocket. It would draw power from a small, simple nuclear reactor, fueled by isotopes so radioactive that they would throw off heat, and thereby generate electricity, for a few decades. Not too long later, Doc Dubois finds himself assigned to Izzy—the International Space Station, I should say—where he hand the proverbial protagonist's baton to Dinah, a fabulously unflappable robotics crackerjack who takes centre stage in the second section of Seveneves' three. Doob's down-to-earth perspective is a perfect fit for the first, which chronicles the last years of humanity—specifically our species' struggle to survive the extinction event to end all extinction events—but in the second section, Earth is essentially dead, and the inhabitants of the Cloud Ark are on the edge of a similar precipice. As it transpires, the project's foremost focus was to keep seven billion souls docile until their inevitable deaths. The long-term prospects of the handful aboard Izzy and the arklets was a secondary concern at best, so they'll go the way of the rest of their race unless they can find a way to change that—to produce enough food and fuel to take them somewhere safer. Hope comes in the form of a cold comet: an irradiated, ice-rich rock that'll have to be manhandled into Izzy's orbit. Dinah's expertise is of huge import here—as is her hard-hearted outlook on life. She single-handedly keeps Seveneves' vast narrative on track by refusing to give in to her grief, or be paralysed by the fears others feel. That isn't to say she isn't sad or scared: Dinah just doesn't let these feelings define her. Whilst Doob and Dinah are cracking characters, deeply and deftly developed over the course of the respective sections they star in, I'd struggle to say the same about Kath Two, the hero of part three: an epilogue extended, in typical Stephenson style, to the length of a normal novel, which picks up the pieces of books one and two fully five thousand years after the fact. Alas, Kath Two spends the larger part of this last act in transit: an unknown quantity trapped in a poorly paced tale that goes almost nowhere as the author insists on backfilling in multiple millennia of future history highlights. Though swathes of this section of Seveneves feel more like a showcase than a story, what we have here is a minor weakness in the scheme of things—especially in the scheme of things involving Neal Stephenson. Even his weakest ideas are intriguing, and his best are basically mindblowing. 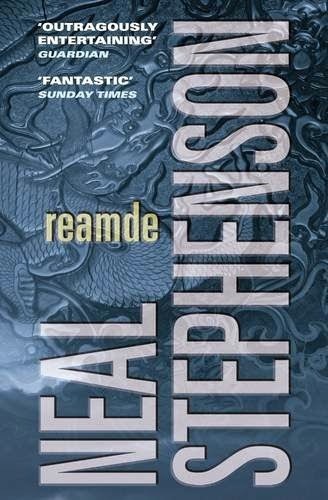 Furthermore, the plot does pick up at a point, and Kath Two is transformed into a fascinating figure before the finale, such that the last act's drawbacks do not substantially detract from the planet-cracking impact of this otherwise awesome novel. I've been interested in this book as soon as I read the blurb (+ the author is a game designer! ), but the number of pages discouraged me. It's probably shameful, but I shy away from 600+ pages book (though that doesn't apply to series/trilogies and their total number of pages, go figure...). Anyway. Seems like a lot of people are enjoying this book. I might give it a try!